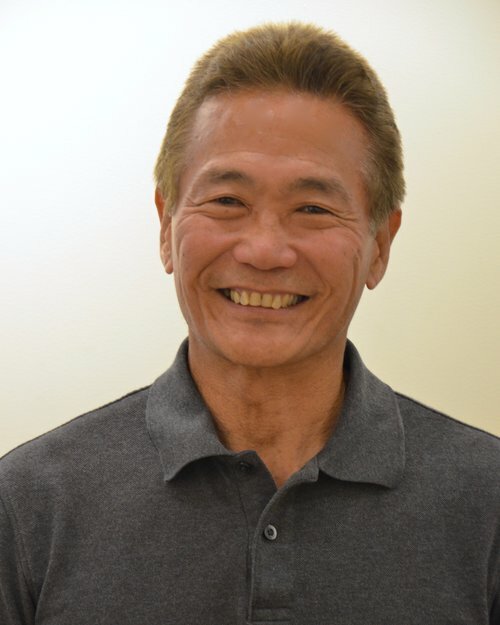 Dr. Tate has been a practicing chiropractor and clinical nutritionist in Hawaii since 1980. Prior to graduating from Palmer College of Chiropractic, he served as a commissioned officer in the United States Air Force serving two tours in Southeast Asia as a fighter pilot. He earned a Bachelor of Science in chemical engineering from Tulane University in 1970. He has attended LSU Baton Rouge and University of Texas in Austin with graduate work at Utah State University in Logan, Utah. He currently teaches anatomy, physiology, and kinesiology as well as a variety of hands-on classes. Samantha is a 2005 graduate of Hawaii Healing Arts College and the lead hands-on instructor for Level 1. She spent 10 years as a licensed massage therapist at Massage Professionals and 4 years in a spa environment. Along with devoting her time to teaching, Samantha currently has her own practice where she is passionate about helping others towards wellness. Samantha has a total of 12 years experience in the healing arts. Steffany is a graduate of the Hawaii Healing Arts College (HHAC) intensive program and has been a licensed massage therapist since 2007. She completed the HHAC post graduate clinical massage certification program in 2009. Steffany is also certified as a State of Hawaii Department of Education (DOE) instructor of anatomy, physiology, and hands on massage techniques since 2010. In the HHAC 600-hour undergraduate program, Steffany teaches introductory and advanced science, clinical massage, and ethics classes. She is also the HHAC post graduate clinical massage program instructor since 2016. This 200-hour program intensely explores anatomy and applications of massage techniques to help clients with medical conditions. Graduates of this post graduate program become nationally certified clinical massage therapists. Steffany focuses on helping students diversify their treatment approach and developing professionalism. In her private practice, Steffany specializes in clinical massage, aromatherapy, and kinesio taping. Sara is a registered nurse and currently working on her doctorate degree. She loves to learn and is always seeking new knowledge especially in the health and wellness world. She loves teaching nursing, anatomy, and anything health and wellness related. She finds that massage has so many benefits to our overall well-being as well as improving acute and chronic illness. In her spare time, Sara enjoys hanging out with my friends, family, and 3 dogs. In 1980, while in the Aikido teacher training program in San Diego, California, Xavier began the study of the healing arts. After moving to Santa Barbara, California and opening an Aikido school, he attended the Santa Barbara School of Massage. Upon graduating, he attended the Santa Barbara School of Oriental Medicine and Shiatsu. After graduating, he then studied nutrition through the Clayton College of Natural Health, obtaining a PhD in "Healing with Whole Food." He currently lives in Hawaii where he practices acupuncture, massage, and Aikido. Craig is a licensed massage therapist here on Oahu. He started his career in the healing arts due to his involvement in martial arts. He quickly noticed that the more he learned about the human body, the easier it was for him to help his clients. Immediately, he was hooked and never stopped learning about human anatomy and physiology. Craig teaches a variety of hands-on techniques in Levels 2 and 3.